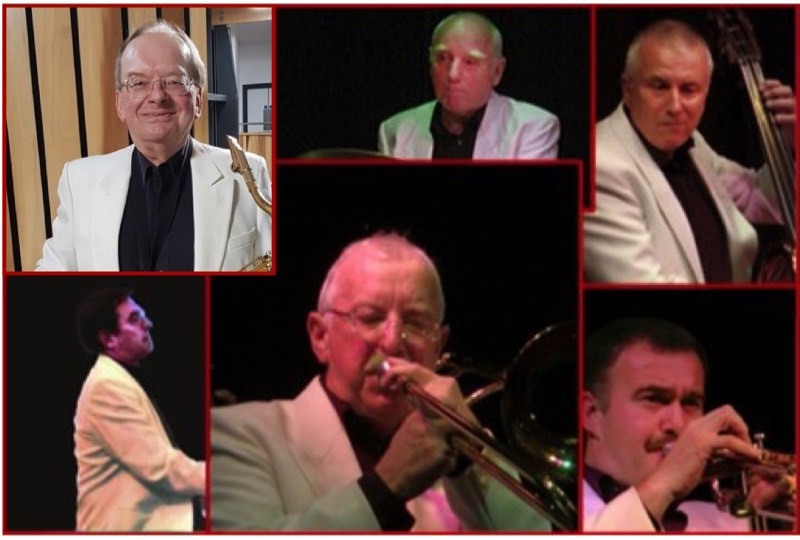 The Jazz Friends specialise in lively always swinging jazz. Within this framework also reside the sounds of Benny Goodman, Duke Ellington and Count Basie making the band ideal for concerts, clubs, dances, festivals, riverboat shuffles or indeed functions where happy, lively music is required. Whilst concentrating on the jazz sounds of the 20's, 30's, 40's and 50's, the Jazz Friends do not resign themselves to re-runs of 'golden oldies' and can combine their traditional repertoire with more contemporary blues material. The band features within its show, a flexibility of approach enabling it to spotlight delightful interludes of vocals, novelties, rhythm and blues, as well as fine solos by its respected and noted individual musicians. The band has appeared at some of the most prestigious venues throughout the UK. They have toured extensively and have also appeared at jazz festivals on the continent. Festivals have included: Upton-on-Severn, Bude, Peterborough, Kettering, Norfolk, Malvern, Swindon, Oxford, Salisbury, Birmingham International, Lynton, Great Yarnouth, Marlborough, Dorchester on Thames, Bromyard. Sporting Occasions have included: World Games, Wembley Conference Centre, Royal Ascot, Britigsh Grand Prix, Middlesex 7's, Twickenham, London Marathon Winners Reception, Henley Royal Regatta, York races, FA Cup Final. Prestigious Venues: London Pavilion, Barbican Centre, Chilford Barn, The Stables at Wavendon, Royal Festival Hall, Saville Club in Mayfair, Hurlingham Club in London, Woburn Abbey and 2 live broadcasts for BBC Radio. Tours and Jazz Venues: Guernsey, Isle of Man, Teignmouth, Denboch (Holland), Prince of Orange - London, Waterworks Jazz Club, Beaconsfield Jazz Club, Wraysbury Jazz Club, 100 Club, Pump House - Watford, Pizza Express, Colchester Jazz Club, Reading Jazz Club, Concord Club - Eastleigh, Enfield Town House, Maltings Jazz Club, Derngate Centre - Northampton, Churchill Theatre - Bromley, Olney Jazz Club.